In the past few months, I have spoken to many Longmeadow town residents with differing political philosophies, people with differing views about the role of government, about the appropriate level of taxation, and about how to prioritize the needs of today and the needs of tomorrow. Many of these people would seldom agree on matters of town politics, or even of state or national politics. But these same people have consistently said that Longmeadow needs change on the Select Board. Over the past year, town residents have seen a town manager search that started too slowly and took too long; the result was that it took 18 months to replace Robin Crosbie after she gave her notice. The vacancy for the director of Adult Center was not posted for five months, and that position went unfilled for most of the year. The Maple Road paving project started too late, it took too long, and the result was a big mess and wasted tax dollars. And the year culminated with the overwhelming rejection of the Select Board's budget at Town Meeting. If that track record counts as success, then town residents would hate to see failure. The current lineup on the Select Board is out of step with what the people of Longmeadow want to see in their town government. 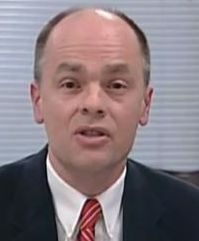 The dysfunction on the Select Board can be traced to the disconnect that exists between the voters and the board. A symptom of that disconnect is the overwhelming percentage of men–80%–on our appointed boards. The Finance Committee has no female members, and it hasn't included a woman since 2009. We are clearly not utilizing all of the talent that exists in Longmeadow. If elected, I will have no higher priority than to reach out to talented people who have not served before to fill the vacancies that exist on our appointed boards. Keeping the same group in power in times of good performance and bad means that we keep having the same conversations over and over. The same issues repeat. Politicians try to divide residents over town vs. school. We hear clarion calls of crisis over the state of the town's infrastructure by the same politicians who presided over the making of that crisis. We hear startling figures of $140 million and $180 million for capital spending, and there is no long term capital plan, and apparently, no desire to produce one. It is said that the definition of insanity is doing the same thing over and over and expecting a different result. If we return the same group on the Select Board, if we maintain the status quo, we can expect the same conversations during the next year, and we can expect the same results. Some of the dysfunction on the Select Board can be traced simply to rigidity. What sense did it make to only make appointments once per year when there were both qualified and interested applicants and vacancies at other times of the year? What sense did it make for the Select Board to meet this year on Martin Luther King, Jr. Day, a step strongly discouraged by the Attorney General in her guidance on the state's open meeting laws? What sense did it make to not televise many of the meetings? In my professional life, I have worked at a corporate law firm in Boston, and I have been a federal prosecutor for nearly 15 years both here and in Washington, DC. I can recognize when government is working well and when it is not. I also understand the meaning of public service. A member of the Select Board, above all, serves the public. Questions, comments, and concerns from town residents are not impediments to getting things done on the Select Board. The input of town residents is not an annoyance. That interaction is an essential part of the job, and indeed, the most important part of the job. The Select Board cannot, under our Town Charter, go it alone. Our form of direct democracy requires engagement with voters because they have the final say. The Select Board also needs to work collaboratively with the School Committee and our other boards, just as our interim town manager suggested we should do in coming up with a capital plan. The genius of our form of government is its capacity for change. We are not doomed to stagnation because the opportunity for new ideas and fresh perspectives exists so long as we have elections and people are willing to serve. I am willing to serve, and I am ready to listen and to communicate with voters in a way that no Select Board member has done in the recent past. Together we can make a change on June 11. My email address is alex.grant68@yahoo.com. The following letter to the editor was submitted by Mark Gold, current member of the Longmeadow Select Board to the Longmeadow Buzz blog and Longmeadow News for publication this week. I have been privileged to serve on the Longmeadow Select Board for the past four years. During that time we have accomplished much, but there is work that remains to be done and I am again asking for your vote so that I may continue to serve the Town as a member of your Select Board. In each of the past four years I have been instrumental in the preparation of the town budget – balanced budgets that have maintained the level of services that town residents have come to expect, while at the same time keeping our tax rate within the limits of proposition 2 ½ . As I promised when I ran for this position, I have come to each meeting prepared and having done my homework, bringing a common sense approach to resolving the town’s issues. I have initiated compromises when I felt they were necessary yet was not afraid to assert my position when that made the most sense. Negotiating a six figure reduction in the purchase price of replacement water meters. Initiating and passing the optional meals tax that will provide an estimated $80,000 in added town revenue each year. Leading the negotiation process that brought about a compromise with the school department resulting in the budget approved at this year’s annual town meeting. Despite these successes, there is much more to do. Chief among my goals remains the implementation of new cost saving and revenue generating programs for the community. The values that Longmeadow residents continue to express require that town expenses be able to grow beyond the constraints of property tax revenues. By seeking new revenue sources that are consistent with the character and priorities of the town, we can continue to fund the programs and services that are important to all our residents while minimizing tax increases. To provide the balance that I believe we all realize is necessary to this town, I ask for your vote on June 11, 2013. Watch the May 29 Select Board Debate here and decide for yourself whether it is time for change on the Select Board. 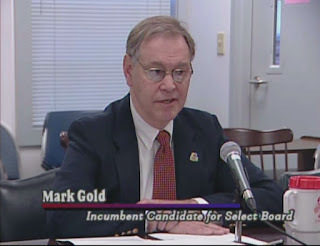 The following article was submitted by Mark Gold, incumbent candidate for re-election to the Longmeadow Select Board in the upcoming Annual Town Elections (June 11) to the Longmeadow Buzz blog and Longmeadow News. 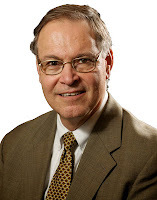 I am writing this open letter to the citizens of Longmeadow asking for each of your votes in the June 11, 2013 Longmeadow Select Board election. I am asking for your vote based on my four year track record of achievement for the town of Longmeadow – a record that has demonstrated that I am making balanced and appropriate decisions on behalf of the entire population. Back in 2007 our town residents passed a proposition 2-1/2 over-ride by 7 votes. At the time, town residents were told that the over-ride was designed to last 3 years at which time we would likely need another. The budget we just passed at this month’s town meeting was our 8thsince that over-ride – and I’ve played a major role in each of the last four budgets. I believe that fiscal responsibility is a key characteristic that most citizens want in a Select Board member, and our ability to run the town within the proposition 2-1/2 limit for the past eight years has shown that I have that ability. Most importantly, this budgeting was done with NO impact on town services or school programs. This year I was the force leading the compromise with the School Department that showed them why we really needed only $353,000 to achieve the educational goals they sought, not their original requested $750,000. Did I cut the school budget – NO – I increased it by $353,000! In the budget negotiations with the School Committee I pointed out, for example, that they should BUDGET for the teachers who would be retiring and replaced with teachers at a lower salary step – change that allowed us to reduce their originally requested budget salary line item by $160,000 to reflect those retirements. Working with the school committee we found $400,000 in reductions to the original school budget that we could all live with that didn't cut educational excellence. During my four years as a member of the Select Board I’ve also pushed for other financial benefits for the town to reduce our dependence on real estate tax revenue. I got the local meals tax before town meeting. The revenue from this tax will raise $80,000 for the town. I negotiated contracts with vendors that saved hundreds of thousands of dollars for the town. But my achievements go beyond just financial. The leadership I showed during the October, 2011 storm recovery, the leadership in behind the scenes labor negotiations, and the BALANCE I have brought to the deliberations of the Select Board and the discussions between the Select Board and the School committee have truly been positive for the town. Moving forward, I have ideas that will continue to further the programs that the citizens of Longmeadow generally support. There’s no reason why we can’t have a town-wide wireless internet system. Residents could cut their Comcast internet bills, use their smart phones on Wi-Fi settings throughout town to save on phone bills, all while the town gets a share of the proceeds. Such town-wide WiFi systems are being installed all over the country, and we can have this system in Longmeadow. We can purchase our street lights from WMECo and save as much as half of the $750,000 per year we spend in rental and lighting costs. We can upgrade our roads and sidewalks. I’ve expressed these very concrete (pardon the pun) proposals that will continue to move the town forward in a fiscally responsible manner while maintaining the character of the town that drew most residents here in the first place. So, it is based on these specific examples of achievement and forward thinking that I ask for your vote on June 11th. I have a demonstrated record of service to the town for over fourteen years that shows that the residents of Longmeadow can expect this level of dedication and achievement to continue through my next term on the Select Board. I would leave you with this thought: There’s nothing broken about the town of Longmeadow and how it’s operating. Certainly things can always be better, and I plan on continuing our progress for the next three years. I plan on achieving that progress from a position of understanding, experience, and demonstrated performance. I would ask for your vote on June 11th and the vote of your friends and family.